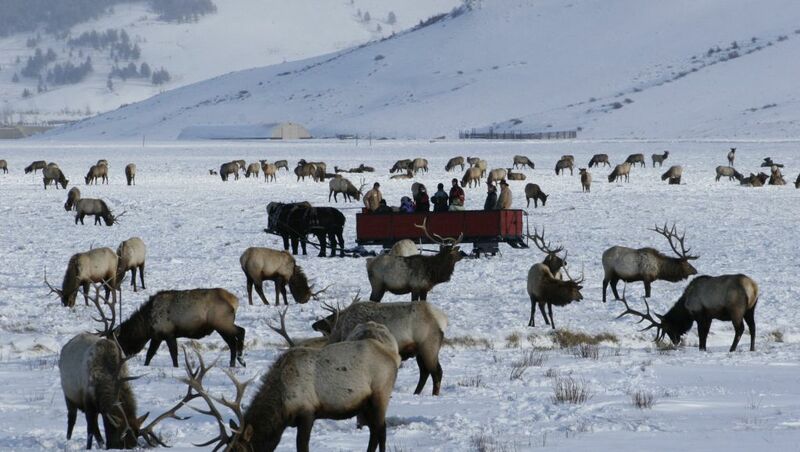 Imagine taking a horse-drawn sleigh ride among an elk herd numbering in the thousands. 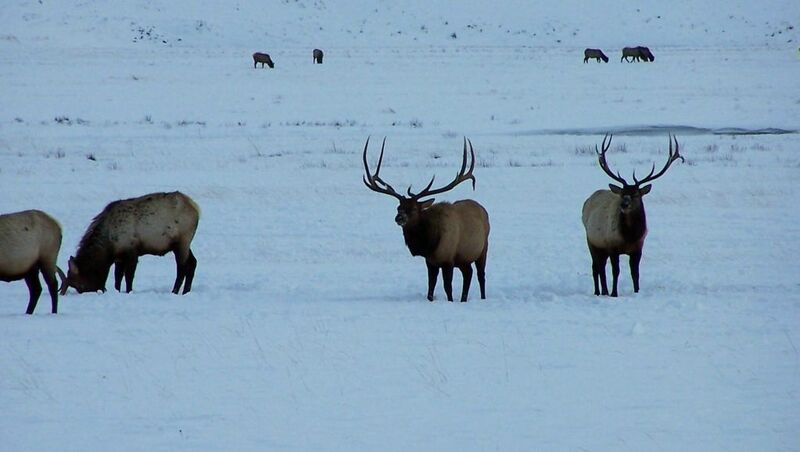 At the National Elk Refuge, such an adventure is available to winter visitors from mid-December through early April, through Double H Bar, Inc. 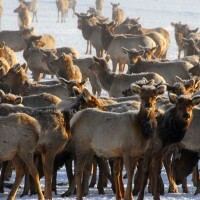 Your guide will lead you through one of nature's most amazing sights and get within 20-30 feet of the elk. 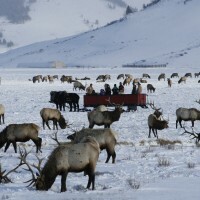 They will explain why thousands of elk have migrated here for centuries and will answer questions you may have about the elk and their winter range. 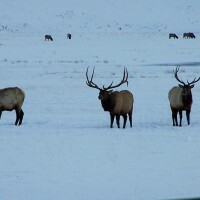 While traversing across the National Elk Refuge, it's common to encounter other wildlife, such as eagles, coyotes, foxes, bison, wolves, trumpeter swans and a variety of other birds. Warm dress is recommended. 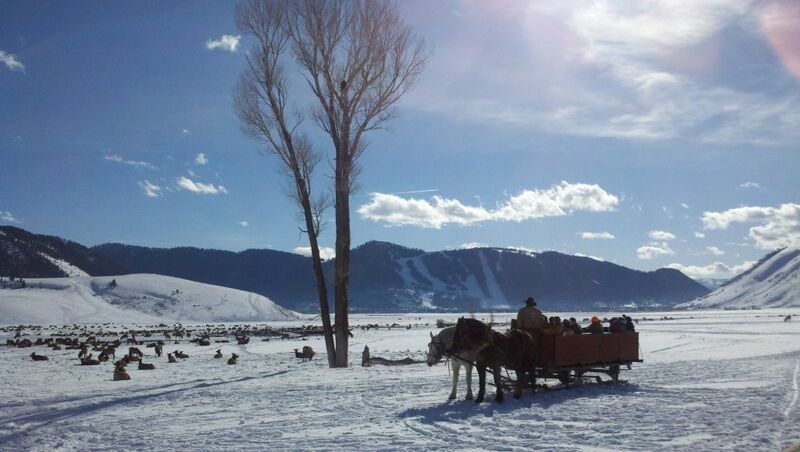 Sleigh ride hours are 10:00 am - 4:00 pm daily with sleighs departing every 30 minutes. Open every day during the winter season December 15 - April 6 from 10am-4pm (weather dependent) except Christmas! Buses depart the Jackson Hole Greater Yellowstone Visitors Center every 20-30 minutes and children under 5 years are free. The Sleigh Ride lasts 45 minutes to 1 hour. Dress warmly. Blankets are provided on sleigh.